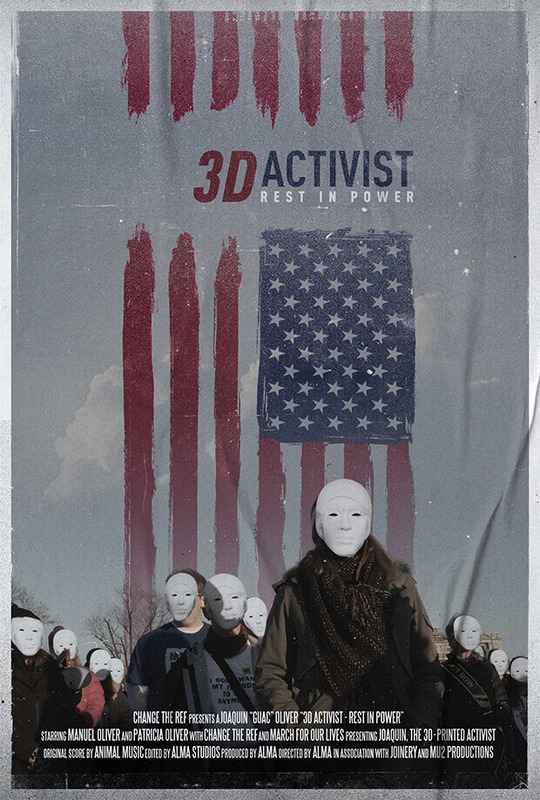 An expository documentary with a creative idea at its core: the creation of the first-ever 3D printed activist in response to the lawful online distribution of 3D gun blueprints. The film captures Joaquin “Guac” Oliver, one of the 17 Parkland students killed in the mass shooting, as he goes from victim to activist, fighting to establish better gun laws. The 3D Activist travels from New York to South Africa, and to the steps of Congress in Washington D.C., all in efforts to safeguard our children from a government failing to provide them the safety and protection that should be their birthright.